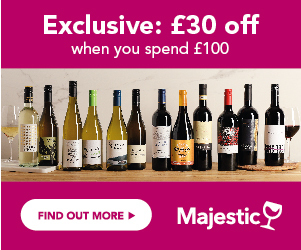 Compare the latest offers, deals and vouchers on excellent Italian Amarone. Have a look at the Price History, look for awards and reviews to get the best quality at the lowest possible price. Sign up for Price Alerts and we will email you when your favourite bottle is the cheapest. It’s a unique and world-revered red wine, from north eastern Italy, made from grapes that have been dried and concentrated, and which produce an intense red wine of great concentration and high alcohol. For many it is the pinnacle of Italian red wine quality. Amarone della Valpolicella is produced in the Valpolicella area of Veneto, in North East Italy. The style evolved from the fact that wine producers in this cold northern area were always looking for ways to intensify the colour and intensity of these naturally lighter styles of red wine. The wine can be produced anywhere in the valpolicella area, but the smaller sub regions of Classico and Valpantena are labelled as such. Amarone wine is made from the Corvina grapes, which are picked in bunches, and left to dry and concentrate, until the colour and sweetness has intensified dramatically. In the early days, the grapes were dried on straw mats in the warmest part of the house; now they are dried on steel pallets in the winery lofts for up to 3 months. Initially the grapes were used for the sweet Recioto wine, and Amarone was almost discovered by accident, when some of these wines fermented out to dryness. Now the style is famous all over the world, and commands high prices. After the grapes have dried, they are known as ‘passito’, and are fermented to wine, and then matured in traditional Italian wooden barrels for a minimum of 2 years before release. What Should Amarone Taste Like? Amarone della Valpolicella is a powerful, intense and unique taste experience, and one which produces long and lingering memories for many. Very individual and uncompromising in style, it is naturally high in alcohol, reaching 15%, and its character comprises aromas and flavours of dried figs, bitter chocolate, dried black cherries and intense mocha, with an alcoholic kick and a long, lasting finish. Amarone needs robust food to cope with its intense flavours – rich game stews, slow roasted lamb, and beef are all good, and it also copes well with the traditional hearty, braised red meat dishes of northern Italy. One of the most famous combinations is the Venetian classic ‘Risotto all’amarone’, an intensely-flavoured, rich, creamy risotto, which has been cooked in Amarone wine – purple in colour, and often flavoured with gorgonzola, it is a unique experience. Many Amarone fans believe the best way to enjoy this wine is simply with a piece of high quality Parmesan or Pecorino cheese, although mature cheddar would work well also. Lastly, and surprisingly, the bitter chocolate and dried fruit flavours of Amarone, make the wine an alternative, odd but good match for dark chocolate desserts.